Hi I am looking for someone who can bring a group of 10 us around mynammar btwn 17 June to 22 June. We would like to go to yangon, Manadalay and Bagan within this days. Coul you let us know how your charges are like and also your recommendations? Wenn Ihr einen individualen Trip in Myanmar oder eine komplette Sightseeing-Tour plant können wir wärmstens unseren Fahrer Zayar Latt mit seinem neuen Toyota (AC) weiterempfehlen. Wir fanden ihn in einem Forum von Trip Advisor und er bot uns einen günstigeren Preis als einige Reisebüros an. Er war super verlässlich, freundlich, sehr flexibel und wir konnten mit Ihm über alles ausführlich in sehr gutem englisch sprechen. (Ein purer Luxus in Myanmar). Er hat ein sehr gutes Allgemeinwissen und weiß alles über Burma´s Land und Leute. Er bietet seine Dienste freiberuflich nicht nur als Fahrer sondern als lizenzierter Tourguide an. Was wirklich nützlich war. Er empfahl auch Unterkünfte und schickte uns die Buchungsseite der Inlandflüge und hatte viele andere nützliche Tipps parat. Man erspart sich Geld für den Guide und er lernte brav die Geschichte seines ehemaligen Königreichs. Ihr könnt Zayar unter zayar.latt@gmail.com oder auf Facebook kontaktieren. Wir wünschen gute, schöne eindrucksvolle Reise!! Danke Zaya wir sehen uns wieder! Bis dahin sind deine Deutschkenntnisse perfekt. quickly when contacting him via email which made it very easy to communicate. That’s where Zayar‘s great service already started. He reminded us to apply for our Visa and to book our domestic flights. On our first day, on time and with a clean car – like always (! ), Zayar picked us up from Yangon. Due to his very outgoing and talkative personality we had no problem to get the conversation started. His general knowledge is extremely good which is why we were able to talk to him about a wide range of topics. We also learned a lot about the history and culture of the country. His English skills as well as his almost non present acent added to the fact that it was very easy to understand him. Due to the fact that Zayar has been in the business and area for many years, he knows his way around very well and is a really safe driver. The plan we had for our travels were enriched through his additional suggestions. He also suggested many restaurants which is why we enjoyed many very good meals. Even when one of us suffered of stomach problems, he also always provided us with the right food choice. We passed two street festivals on our trip and each time he immediately stopped the car so we could take a look around for as Long as we wanted to and even explained the reasons for each Festival. Stopping the car every now and then, he let us try yam roots and showed us a betel plantation. Zayar is always willing to help. After our visits to many temples where one always had to take off shoes and socks, he always had some wet wipes ready for us to clean our feet. He also always had more than enough water for us in the car and whenever we left a hotel he made sure we had our passports with us. We definitely can, without a doubt, recommend this honest and reliable driver and guide. It was a great and successful trip in Myanmar. We had a wonderful trip for three weeks in Nov./Dec. last year; we visited the south of Myanmar. The tour was very well planed by Zayar. 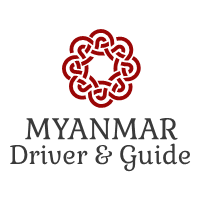 The first week we had an also very perfect driver - Myint - because Zayar had another group of tourists. With Myint we visited the Ayeyawardy Delta. On the way to the delta we stayed in Twante an Myint showed us the small town Pyapon an arranged a boat trip for us. The next two days we visited the Wildlife Sanctuary Meinmahla Kyun in the delta. Everything was perfect arranged and the boat trip was a great experience. After driving back to Yangon the trip goes to Bago an further on to the Golden Rock and to the caves of Hpa An. Here our drivers changed and the next days Zayar was our driver and guide. He showed us all the interesting places in the south and the beautiful landscape; we visited Mamlamyaing, Ye, Dawei and also stayed two days in Myeik. Here Zayar arranged a beautiful one-day boattrip through the Andaman Sea. This was a highlight of our trip. The entire yourney was perfectly arranged, we got a lot of informations about the country, both drivers spoke a good english, were perfect drivers and very professional. We can really recommend Zayar and his services. We went to Myanmar in November 2018 with my boyfriend and we spend 11 days with Zayar. We had a great time in Myanmar thanks to Zayar who helped us plan our trip and show us his country. We really enjoyed discovering Myanmar culture with Zayar, he is very knowledgeable about his country and always willing to answer your questions. We did a tour in the major touristic sites and in some less known areas, Zayar suggested an itinerary so we could enjoy our trip and see as much as possible in 2 weeks. In every locations he showed us great places and we met with locals, he would bring us to some local cafes or places outside the touristic areas which was great to have a more authentic experience. Zayar is always on time and very flexible, his English is very good. I would highly recommend his services if you are looking to have a unique experience in Myanmar and if you are interested not only in visiting the country but also in understanding the culture.